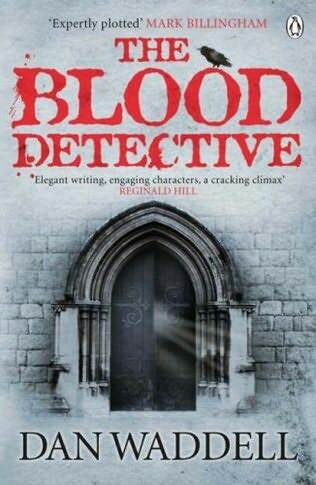 The Blood Detective is this month’s selection for my face to face crime fiction bookclub and is by another new (to me) author. Among the mutilations found on body in London is an alpha-numeric sequence scratched into the person’s chest. One of the police assigned to the case, Heather Jenkins, recognises it as a reference to a birth, death or marriage certificate and suggests the police contact family historian Nigel Barnes for help. As more bodies are found with the same reference number carved into their skin Barnes helps the police to identify the relationship of the current crop of crimes to ones that took place over 100 years earlier. I enjoyed the way this story developed up to a certain point, especially the incorporation of the relationship between the historical elements and the current crime. The depiction of Barnes’ research was accurate for the circumstances (having worked as an archivist in similar institutions to those depicted here for a number of years I feel qualified to comment) and the linking of his discoveries to historic parts of London was well done. I have to say though that I groaned audibly at a specific twist incorporated towards the end of the novel. To say more would give away a rather massive plot point but it’s a very well-worn cliché in crime fiction and was neither necessary to build tension nor particularly credible in this instance. This did spoil the ending a little for me but as the rest of the story was engaging and well-written I’ll be forgiving of a debut novelist’s eagerness to pack in the tension. Nigel Barnes is in an interesting, likable character with some personal history of his own that is revealed over the course of the novel. His love/hate relationship with genealogy made me laugh at its realism (it was the genealogists who made me flee from archival institutions) though I enjoyed his passion for pure historical research. The DCI in charge of the case, Grant Foster, is probably less likable to most people though I found his cynicism and world-weariness understandable and at times downright lovable but I admit I’m a bit odd that way. Police procedurals are not exactly a rare thing in crime fiction so it is not surprising that authors are always looking for a new spin on the theme and I found this one more engaging than many such twists. I’m not sure how it will play out across a long running series though if the author is prepared to consider mysteries without murders there might be a reasonable scope for a decent bunch of stories and I enjoyed the pace, humour and history of this one well enough to be keen to track down the second book in the series. Dan Waddell did an interesting interview with the Scene of the Crime blog earlier this year in which he talked about London, in particular historical London, as the setting for his fiction work. This entry was posted in book review, Dan Waddell, England. Bookmark the permalink. It is always nice to find new authors Benadette, thanks for your interesting review. Bernadette – Thanks for this fine review, as ever. I agree completely that certain plot twists have become cliche and can even take away from a story’s effectiveness. I’m glad that you found other things about the book to really enjoy, and this one sounds like a solid debut effort. Thanks for sharing it.
. It’s interesting that you enjoyed the archival elements and had the experience to comment on them. I wrote a review for Amazon US about this book. I liked Waddell’s sense of place and enjoyed his historical research of a certain section of London and visiting cemetaries and governmental offices. Waddell’s second book is about Mormon genealogy and takes the reader to America. I was less intrigued but perhaps will re-read that one. thanks for this review, Bernadette, sounds mildly intriguing. I don’t often read historical crime but this one seems to be a little different. Maybe I’ll give him a try. I always enjoy reading your reviews and this one is no exception. It sounds like a good read, and as an archivist I’ll be interested to hear the descriptions of archives – wonder if they’re described as dusty!